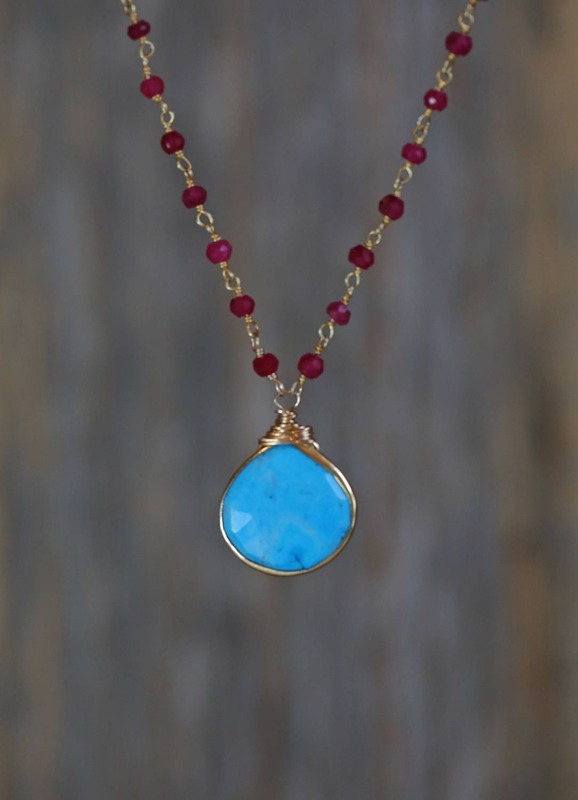 The turquoise is bezel set in 14 karat gold filled and the rubies are wrapped in gold plated wire. 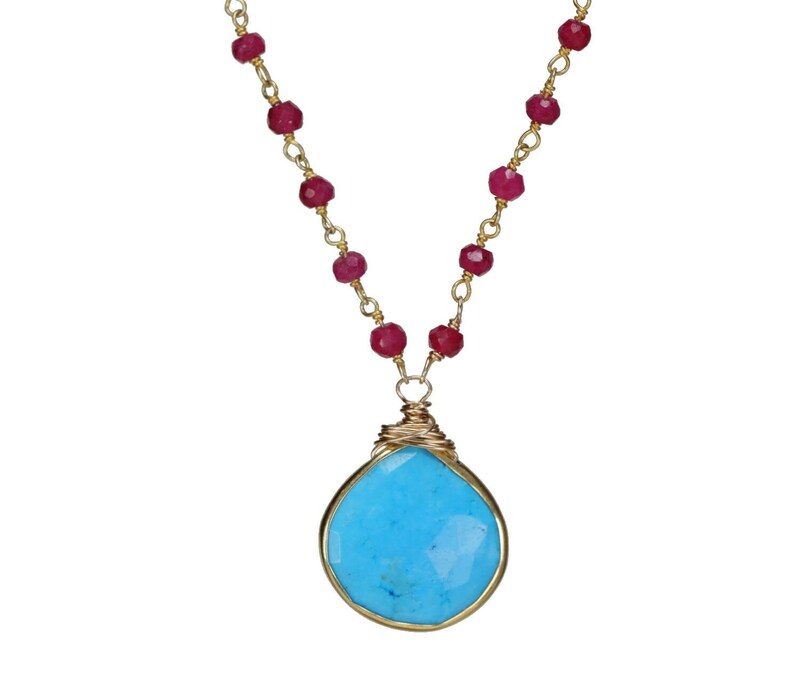 The Lobster Clasp and extender chain are made from high quality 14 karat gold filled. 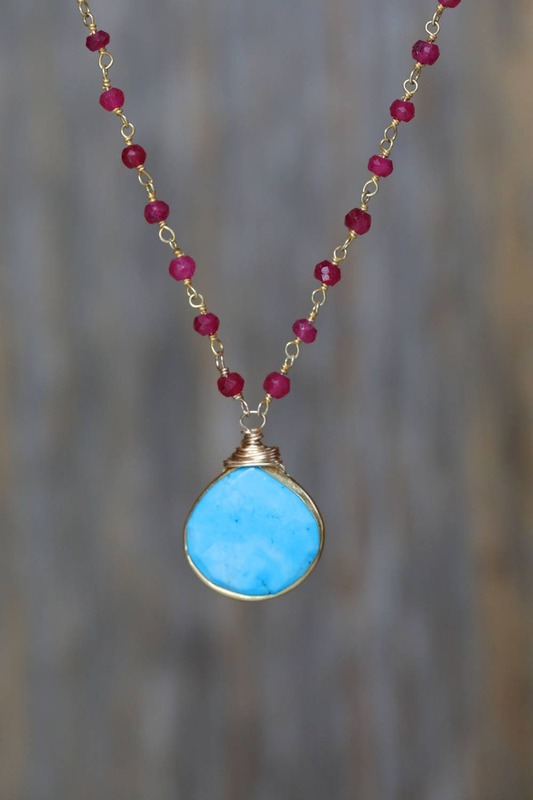 The necklace is 16 inches long with a 1-inch extender chain to 17 inches total. The ruby roundels measure 3mm. 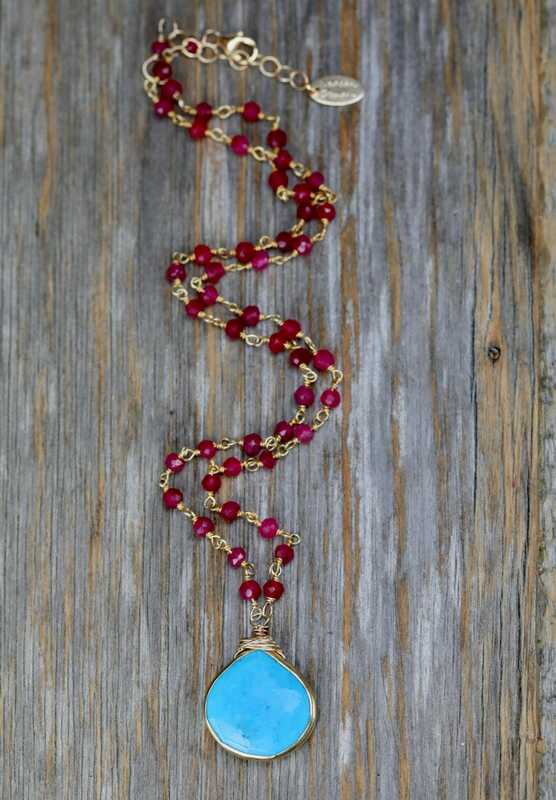 Turquoise pendant measures 26mm tall ( including wire wrapped bail) and 19mm wide approximately.